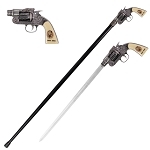 This Accurate Twilight Princess Zelda Link Master Sword is not the cheap knock off you have seen with the flat guard and cheap leather sheath. 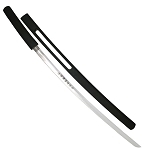 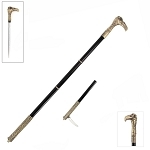 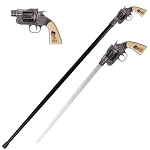 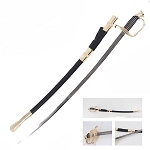 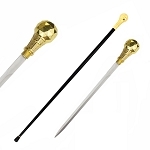 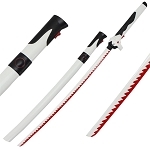 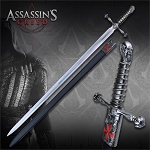 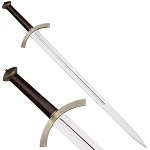 Now you can own this LIMITED SUPPLY sword which comes with the Hard Scabbard. 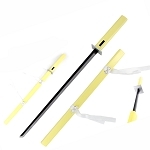 42 Inch Overall in length Zelda Sword with Mirror Finished Blade and Blue nylon fiber handle.